I would like to share one of my Makan 'Mis-adventure' which started on a fateful Wednesday afternoon. My hubby and I were travelling along the Jalan Sungei Besi, our tummy were rumbling and we were hungry as a wolf. It was the dead hour to look for food and my hubby suggested we try out the popular bamboo noodles shop along the highway. Many good reviews have been written about this place, so I decided to check them out that day. As I was rushing to be back home and there is another kiddo at home waiting to be fed, I took a takeaway or tapau for lunch. I decided to try out the 2 different version with a soup and dry noodles but both with char siew & wantans. I was totally disappointed by the char siew serving as you can see my bowl of noodles consists of a measly serving of only 4 miserable-looking pieces of tasteless and ridiculously super thin char siew. My wantan were missing too in this case, although I specifically asked for 'char siew wantan mee' when ordering. I wanted to check out the dry & soup version, so I ordered for a pack of each at RM 7.30 per pack. As for the wantans, I tasted them on my 1st pack of the dry version (konlo) and it was so lousy. The noodles though springy but it was so dry that it lacks in flavour. Those tiny morsel of wantans were so soft and small that I can't even taste the meat. They must have added lots of flour instead of the minced pork that causes it to be so soft. 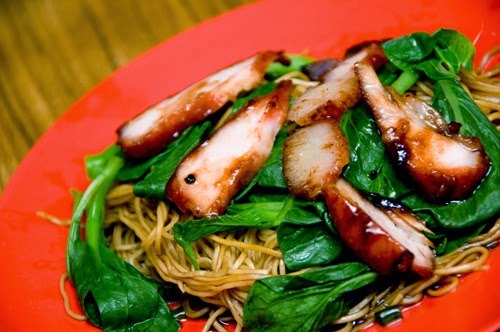 The art to serving a very good bowl of noodles must have 4 important criteria; the texture of noodles, the soup base to be follow by the char siew and lastly the wantan. This place has failed on 2 very important points ~ Succulent char siew together with meaty, savoury wantan. Seriously this place is so overrated till I believe that any wantan mee stalls in your neighbourhood can serve a better dish any time of the day! Chunky pieces of delish char siew (Year 2010) compared to the Paper thin pieces char siew (Year 2014) that shrunk in size over the years. Above is a combo pic comparing the size of the char siew served in 2010 to the current year ~ 2014. Picture on the left is the succulent char siew was taken from a food blog dated sometime in May 2010, whereas the picture on the right are the ones I packed or tapau back home to eat that afternoon. Sad to say this but they have acquired a super skill to thinly slice the char siew to paper thin size to maximise profit. What's more disheartening was that they have increased the prices from RM 5.50 in 2010 to the current RM 7.30 for a large bowl of soup/dry noodles right now. Well, the only good I can say about this disastrous food review is that the texture of noodles were commendable. The soup was worth mentioning too, it tasted good just like any decent soup should taste like. I was also being short changed here as they left out the wantan on my 2nd pack of noodles. When I made a call to complaint, the arrogant boss still have to cheek to say that I gave them a wrong order and insisting that I wanted my noodle without wantan. Instead of apologizing for the mistake his staff made, he was quick to blame his customers. One of my favourite noodles has always been the wantan noodles and I have never eaten or order any wantan noodles in my life without the wantan. 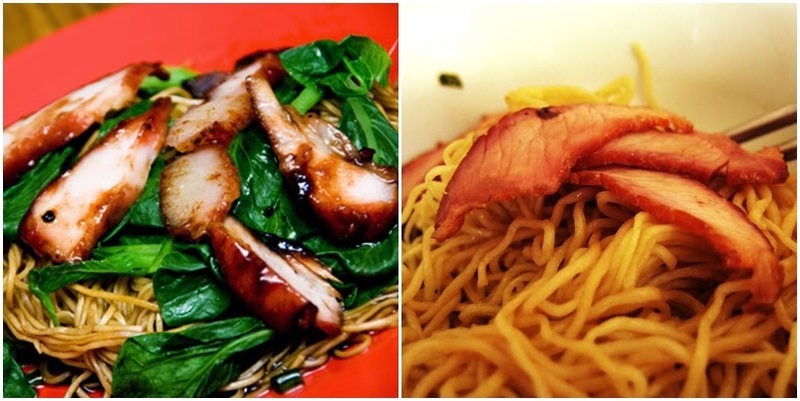 Char siew and wantan goes hand in hand for any serving of wantan noodles. I would never order any wantan noodles without my wantan! This picture taken from a May 2010 food blog too via ~ vialentino.blogspot.com/2010/05/freshly-made-egg-noodles-from-bamboo. Above is another picture taken from a food review way back in May 2010 via about-uli.blogspot.com/2010/05/fun-kee-bamboo-noodle. Overall, I had to say that I was totally disappointed and upset by the owner attitude towards his customers. Fun Kee Bamboo Noodles has been overrated by many, and sad to say they are not working toward in maintaining the quality of food served thus increasing the prices at their whim and fancy just because they are famous in town. To maximise profit is important in any aspect of business but certainly not by cutting cost and compromising on the quality of food that been served to loyal customers for some many decades. 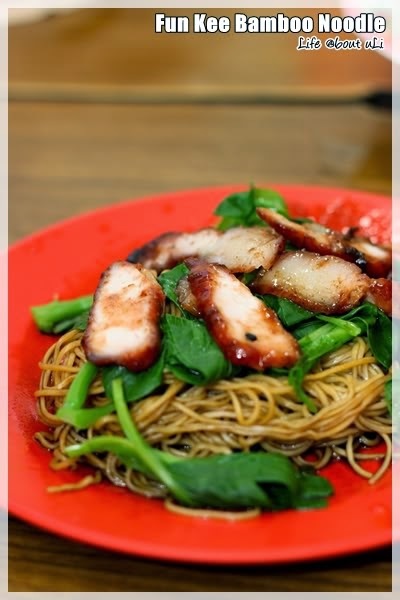 Before I end this blog, I just hope they stopped 'shrinking' their char siew for Christ's sake! One of my latest finds is an obscure little restaurant called Seow Man Hot Soups located in Semenyih, Kajang. My hubby and I happens to chance upon this eating place when we were on our annual Cheng Meng festival trip to the nearby Nirvana Memorial Park to pay homage to our ancestors. Upon entering we knew that something good and delicious coming our way just by observing the amount of customers waiting patiently to be served that afternoon. It was packed to the brim during lunch hour. Parking space are aplenty. Customers usually finds parking right infront of the restaurant which is facing an empty lot. We were also informed by the owner that they will soon be relocated to nearby new shoplot at the address stated above in a week or two. Thanks goodness, we got 'mouth-luck' as we managed to check out this place before they gone missing the next time. I enjoyed eating the food so much that I promised the lady boss I shall blog about this and help to promote her food plus the relocation of her new shop. Here is the food list, a short 20 items menu to choose from bestsellers Seow Man Hot Soups dishes to go with your rice. Sometimes, I prefer a short list as we can focus on ordering the best of the bests, signature dishes and not going through a trial & error trying to find out which is the tastier one in a restaurant. For drinks, there are a good list of perfect thirst-quencher of healthy juices such as Passion Fruit Juice, Honey Lemon Lime, Chlorophyll to herbal drinks such as the Special Ice Jelly Bee, Ginseng Chrysanthenum tea, Sugarcane with Water Chestnut, Longan with Lou Han Guo and Winter Melon Drink too. 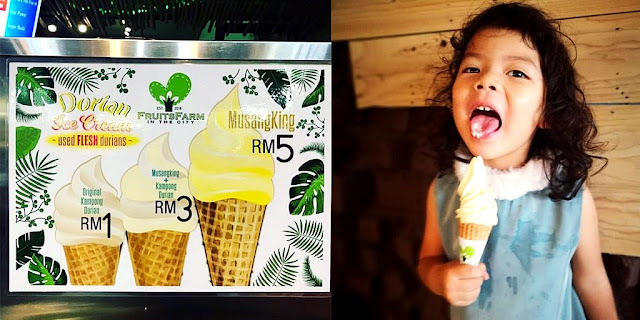 Prices are reasonable as they ranged from RM 2.50 to RM 3.00. My first dish which was a hot favourite on every diners' table. 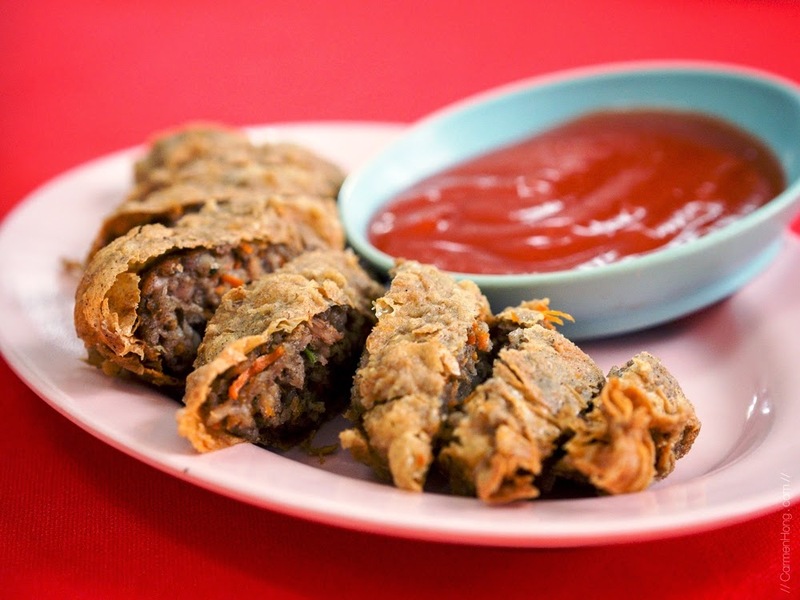 This must-have Foo Chuk Pork Rolls does makes a very good appetizer before the main meal. 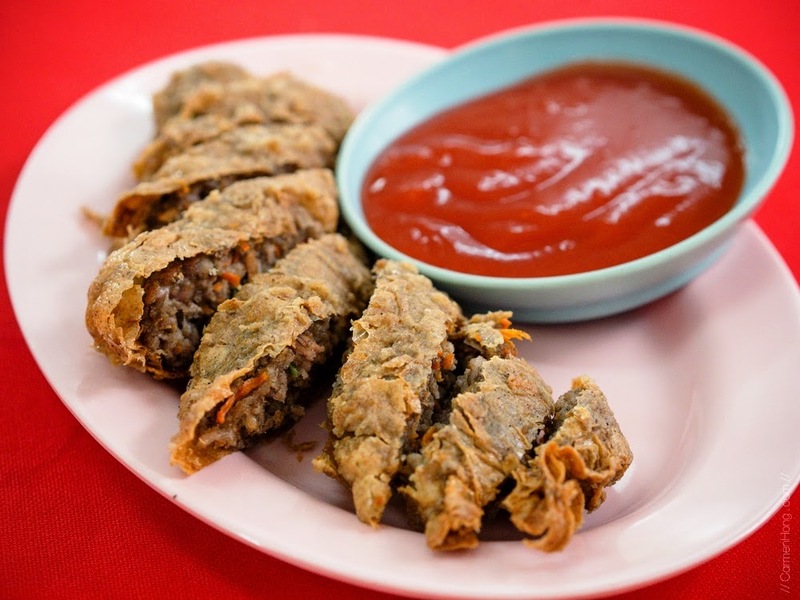 Juicy minced meat with chopped carrot and chestnut makes a good filling for the foo chuk roll. It was full of flavour and seeing that the cook was an old-timer, he did not stinge on the main ingredients. You can taste the flavoursome meaty portion with a very crispy foochok wrap on the outside. So good, you gotta eat this on its own without the dipping chillie sauce. For the main dish, of course we have the famous dish they are popular for - Hot Pepper Soup. They served a variety of hot pepper soups ranging from pork belly, innards to pork stomach and even chicken too. Since I'm not a fan of pork innards, we opted for a mixed version with some chicken for me and the kids, together with some pork stomach to satisfy my hubby's craving. 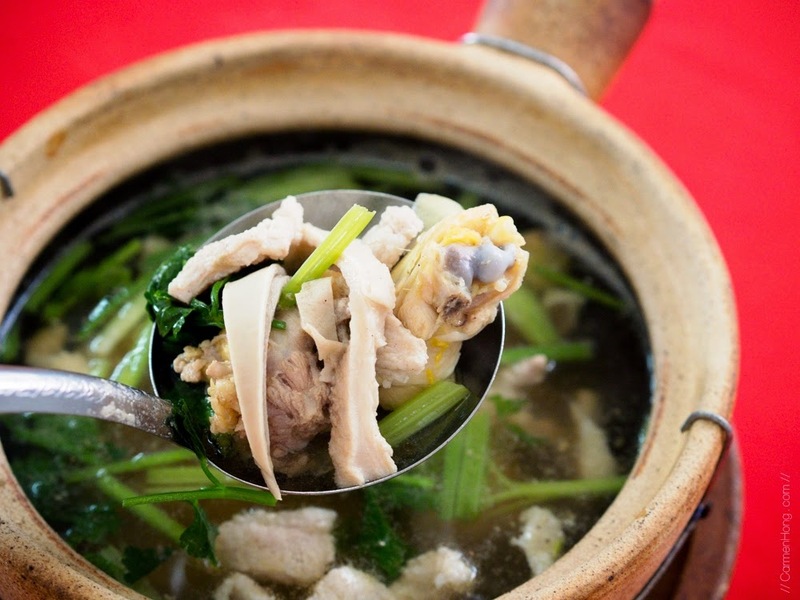 Served in their signature claypot, this fragrant and herb-laden hot soup comes with lots of chinese celery (kang choy in Chinese or daun sup in Malay). A fragrant herb usually added to many types of broth like the sup kambing or sup ayam, perhaps bring out the flavour in it. The soup had a strong and distinct peppery taste, not too spicy, just what a pepper soup should taste like. I also wished to highlight that the chicken used here were of the better grade, kampung chicken grade where the meat is tender and chewy. So the end result is of course, a tasty tummy-warming soup to soothe your soul! Next up was an excellent Pork Belly cooked dry-styled called the "Fah Chiew Fah Yok", translated to Hot Pepper Pork Belly. 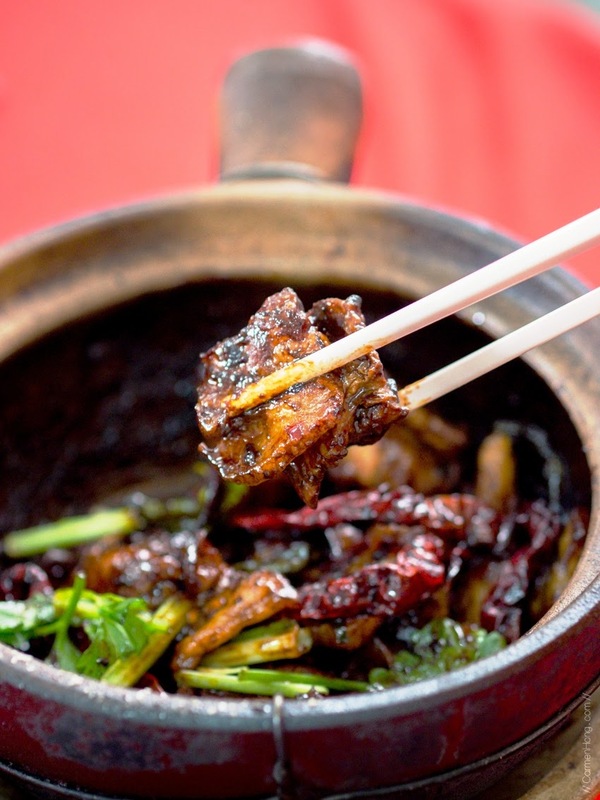 The savoury dark, caramelised black sauce comes from the light soya sauce, oyster sauce, dark soya sauce, sugar and Shaoxing wine. 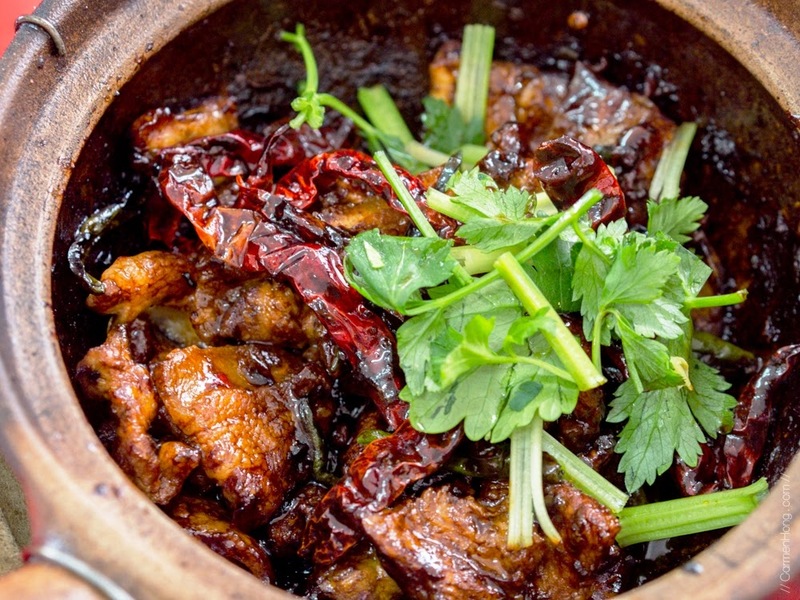 Actually I'm not a fan of pork belly for its fat layer, but for this case I gave it a miss.The stir-fried pork belly with chillies padi and dry chillies, drenched in the black sauce were soft and tender, bursting with delicious savoury and hot spicy flavours. And it went so well with hot steaming white rice. My young son was basically scrapping the bottom of the claypot for more of the tasty black sauce to go with his rice. Well in the end, I gave in and let him pour his rice in to the claypot instead for him to enjoy his hearty meal! My perfect choice of drink that day was this very special Ice Jelly Bee. A concoction of lime juice with honey mixed with soft, slippery jelly, this is a light and refreshing drink that brought relief to me from the heat of the sun especially after visiting the humid memorial park. Our total bill came to RM 41.90 only, with food, rice and drinks included for 4 pax. Real value for money and it can't get any better than this for the good standard of food served here. Overall, Seow Man Hot Soups is a great place to eat, good food with reasonable pricing for all their dishes. 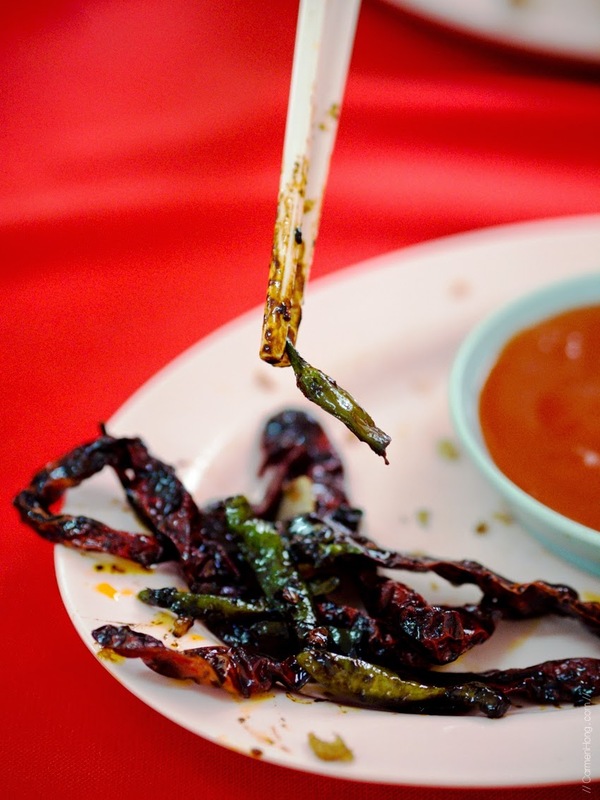 Besides that, you can be rest assured that each dish is cooked to perfection, credited to the years of experience that lies with the reputation of this old restaurant. A new star has been flown in from the land of rising sun. 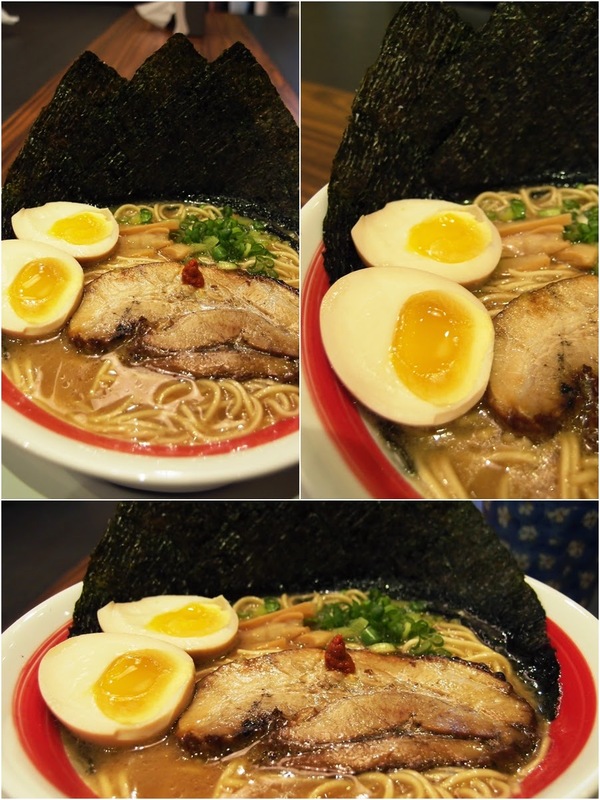 Yes, it's none other than Japan's ramen specialist, Bari-Uma which incidentally means "Super Tasty" in Japanese. At a recent food review at newly opened Bari-Uma Ramen @Jaya Shopping Centre PJ, I had a great time tasting of their specialty ramen noodles, rice dishes and appetizers, which the restaurant takes pride in. Bari-Uma is the first and only one in Malaysia, opened in Jaya Shopping Centre, Petaling Jaya, in May this year. With 40 existing outlets across Japan under the Bari Uma brand, and international location in Singapore, Bari-Uma Malaysia's flagship outlet has a exquisite facade. With 22 years of history in Japan, Bari-Uma promises to bring the real taste of ramen to the people of Malaysia. Irasshaimase! The workers address you as you walk in. You are immediately transported into a little Japan where everything reflects a homely Japanese mood. Bari-Uma's decor reflects its Japanese heritage. You cannot escape the sight of a distinctively traditional-designed Japanese restaurant as you step in. Japanese calligraphy, the white and red Noren, a traditional fabric divider greets customers. The kitchen, which is positioned at the left corner of the entrance, has a glass panel which gives you full view of the food preparation. A Bari-Uma large poster of its signature dish adorns the wall at the private family seating and spacious dining tables makes it a perfect venue for family or company meals. Owner Aldred Yaw, who runs Bari-Uma told us that these homemade ramen noodles are freshly made in-house, so we can be assured of its freshness. What's unique about Bari-Uma is that customers are give a choice of different texture of noodles to choose from starting from firm, original to soft. Aldred emphasises that, "the noodles and broth are distinctive and this is the main difference among the other regular Ramen outlets." For a taste of what Bari-Uma has to offer, we were served the house special, which is noodles medium in size, are served with ajitama (flavoured eggs), bamboo shoots, dried seaweeds, springs onion plus the signature Chashu, thick-cut flamed pork belly. The Tonkotsu (pork flavoured shoyu soup), a gorgeous thick broth is ultimately the best ramen to start with. The Bari Uma's ajitama (flavoured eggs) was probably the best that I've ever tasted from all the ramen shops I have been to. Well marinated and full of flavour, you can taste it in the egg white alone. The whites and yolks are cooked to perfection, not to watery nor too hard. Notice the shiny glistering perfect soft boiled egg that had a melt-in-your-mouth texture. Slurp-worthy: Pork flavoured shoyu soup with glorious thick-cut flamed Chashu together with the ajitama and seaweeds make the perfect Noritama-Uma. Aldred said: "The pork are specially sourced and imported from Spain. Pork belly are used as the fat is said to make the meat more juicy". With meat, I habitually trim off all the fat. But for chashu, I ate my pork loin as it should be eaten - fat and all. It was absolutely tasty and I liked it more than anything else that night. The fat seemed to make the meat moister and as I savoured the meat, I was reminded of sinking teeth into my favourite Hakka char yuk (dried version of deep-fried five spiced pork) cooked by my late mum. The next ramen is the Kara-Uma, pork flavoured shoyu spicy soup with thick-cut chashu. It may be the cousin to laksa as it was slightly spicy, but the broth and noodles have their Japanese touch. The pork broth has a spicy taste and was served with Bari Uma's signature Chashu, thick-cut flamed pork belly, bamboo shoots and spring onions. Yakitori is basically grilled skewered meat marinated with a sweet Teriyaki-like sauce. A very popular appetizer which you never fail to find in any Japanese restaurant. This combo set consists of five kinds of Yakitori served with tare sauce such as Negima (Chicken thigh & leeks), Butanegima ( Pork thigh & leeks), Tori-niku (Chicken thigh), Sasami (Chicken breast) and Butabara (Pork Belly). I prefer the pork yakitori to the chicken yakitori as the pork was juicier and tender as compared to the poultry yakitori. The Gyoza which simply means pan fry dumpling makes an excellent starter. Made from minced pork, these tasty little dumplings are prefect side dish to many meal. The skin was light and chewy with meaty stuffing, I really enjoyed eating this and can't help going a third piece that night. Next, the Negi Mayo Gyoza, which is similar to the plain gyoza but came with toppings of chopped spring onion, spicy sauce and mayonnaise for added flavour. If you want rice, the Ishiyaki Chaofan Chashu is this glorious Japanese steamed rice with chopped chashu and scrambled eggs topped with spring onion served on hot stone bowl. You just mix it all together while it still hot to get a richer flavour. I was bowled over by this simple rice dish. It was a gratifying one-dish meal if you're really hungry. According to Aldred, most customers are office workers crowd rakes up the numbers on weekdays. The menu may not be extensive but it suits ramen lovers just fine. For now, he has his hands full with this outlet which is not only popular among the locals but also Japanese expatriates who love the ramen served here and give their thumbs up for that. So if you are looking for quality premium Japanese cuisine in a great and cozy environment, Bari-Uma makes a worthy choice. It would surely give your taste buds a delicious tingle, so pick up those chopsticks and slurp your way into delicious goodness with Bari-Uma!